When a washing machine suddenly stops working, it's a major inconvenience, especially if you had that one thing you were looking to wear that night. 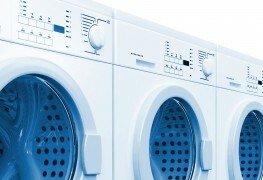 Follow these simple steps to maintain your washer. 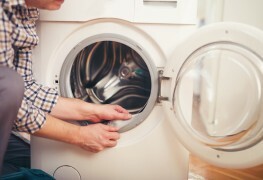 In all washers, but in top-loading washers in particular, off-kilter loads of laundry can put a great strain on the bearings and mechanism that rotate the tub. Save yourself the cost of these new parts by keeping your ears open for the beginning of the spin cycle. If you hear thumping, you need to stop it running and redistributing the wet clothes. After any unbalanced load is finished and out of the washer, tip the machine forward a few inches (onto its front legs) to get the self-adjusting rear legs to drop back into place. 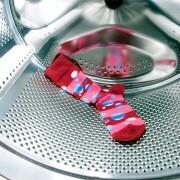 A washing machine that's not level will be out of balance, causing it to break down and wear out sooner than necessary. Next, check whether the machine is level from front to back on one side, and adjust the front foot on that side with a wrench as necessary. (You may need to temporarily prop up the front of the washer on a block of wood to access the legs.) Then adjust the front-to-back level for the other side. When both sides are level, check the front of the machine for side-to-side levelness. Finally, tighten the lock nuts on the front legs to prevent the machine from jiggling out of place. Stuffing your washer like a Thanksgiving turkey is only going to tax the machine's inner workings. Follow the capacity parameters that are listed in the instruction manual (they also may be printed inside the lid of top-loading washers). 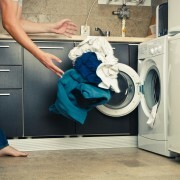 Use only as much detergent as the package says — using too much can cause a sudsy overflow to pour from your washer (and damage the machine in the process). 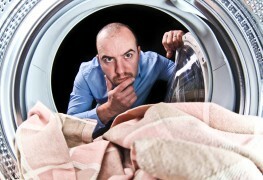 If you see the high efficiency (HE) logo on your washer, use only HE-designated detergent. It creates fewer suds, causing the machine to be more water and energy efficient. The standard rubber hot and cold water hoses connected to your washing machine can harden, crack, and burst, which is why it's smart to replace them every two years. Consider a stainless steel–reinforced hose, which lasts much longer and can withstand higher water pressure. When you change hoses, mark the date of replacement on the hose. 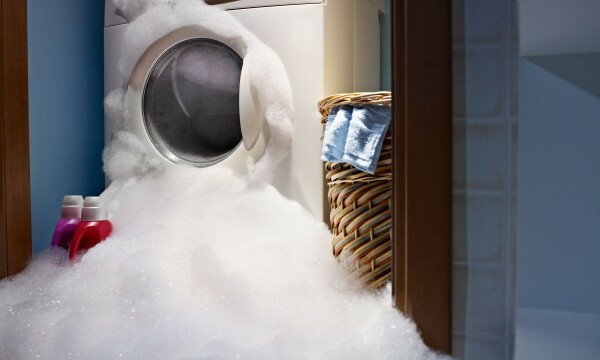 Leave the washer door open for a few hours after a load and allow the water to evaporate. This helps prevent rust on the washer tub and will keep your washer from smelling musty. Protect your washer's high-tech controls and digital displays by plugging the appliance into a surge protector made for appliances. This is an especially smart move if your community is prone to frequent brownouts, blackouts or power spikes. Don't set the surge protectoron the ground, where it might get wet.